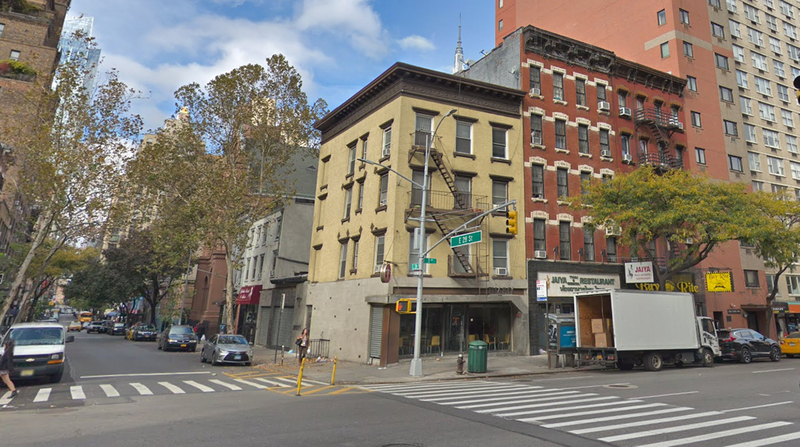 Following the demolition of three low-rise apartment buildings in Kips Bay Manhattan, construction has kicked-off at 157-161 East 28th Street. 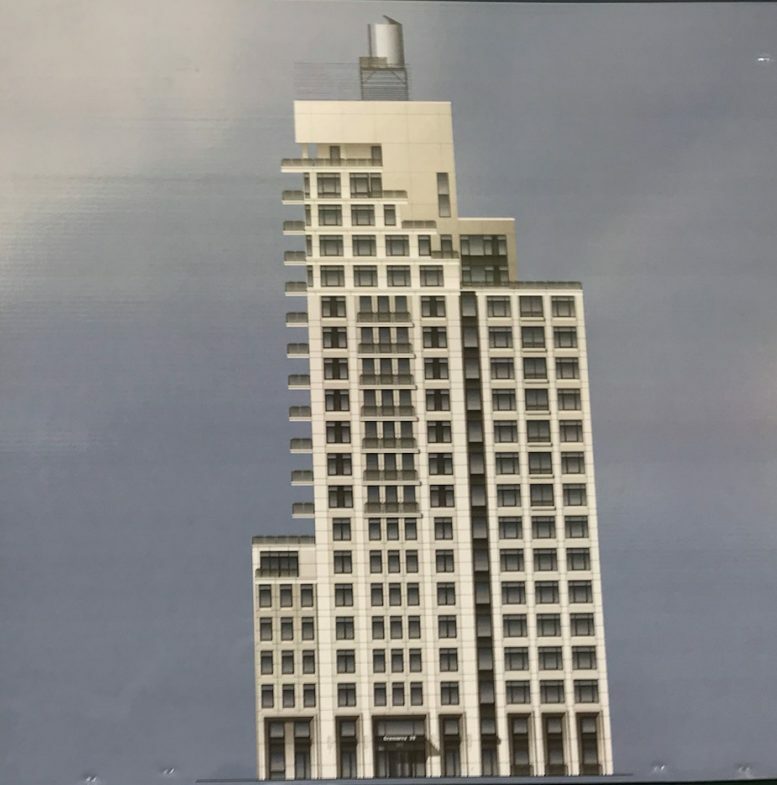 New renderings have surfaced at the construction site for the property and reveal a departure from the originally announced red-brick structure. 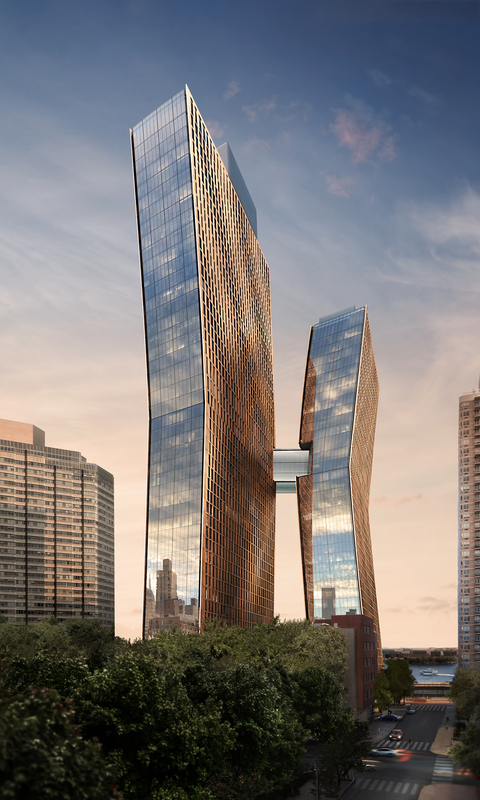 Today, renderings depict a 19-story residential building with ample outdoor space, a pale-hued masonry facade, and a possible terrace area for common use. The photos come from Tectonic. The new condominium project will comprise 66,125 square feet and top-off at 191 feet above street level. Inside, there will be 43 homes, with no area dedicated to retail or parking use. Forkosh Development, the property’s new owner since January 2018, has yet to confirm the residential amenities package. Filings name C3D as project architect. 3 Comments on "Updated Renderings Reveal Kips Bay Condo Development at 157-161 East 28th Street"
Outsized for area… but keeping with new up sized zoning for 3rd Avenue. Big changes for Avenue along with those planned between 26 and 27th. Completely over-sized and unattractive. The foundation work has had multiple issues with frequent emergencies and location reviews from the Fire Department. Bad choices from the start.